AquaForce is a major sponsor of the 31st annual De Castella Run to be held on Sunday, 28 August, 2011. 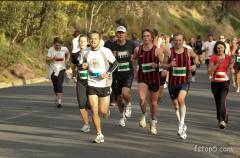 The Run traces the footsteps of Robert De Castella, Australia’s legendary marathon runner, along the picturesque bends and inclines of the Kew Boulevard. The boulevard winds around the scenic Yarra River where Rob trained as a school boy to make him one of the world’s strongest marathon runners. 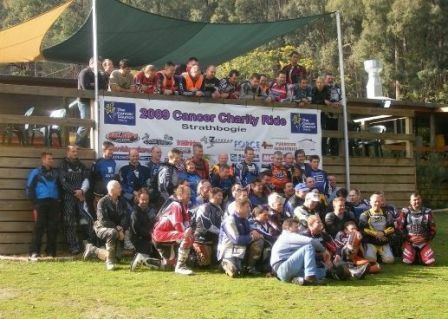 AquaForce is a sponsor of the 2011 KTM Cancer Charity ride which is again carving its way through the Strathbogie rangers in Northeast Victoria on 10-11th September, 2011. The event was started in 2009 by friends Murray Edgar and Geoff Wilkinson. The initial plan was simple: get some friends together, go for a ride and raise some money for their local cancer support group. Word quickly spread through the industry & support came quick & fast from many riders. The first event raised more than $11,000 for the charity, exceeding everyone’s dreams with a massive prize pool and huge auction being part of the fun. This year’s ride is expected to be even bigger with a great track currently being planned and lots of bargains up for auction on the Saturday night. Come along with friends and family, have a great weekend and support the ride. The maximum amount of people is 130 this year so get in early so not to be disappointed. It will be two days of riding, all meals from Saturday morning till Sunday Lunch time are included in the entry, with an auction on the Saturday night with all funds going to the cancer council. Go to www.ccronline.net to enter. So get a group of mates together and make this a weekend to remember.